Kirkland is a city that continues to grow, not only because it’s gorgeous lakefront locale, but also because it seems to annex towns on a semi-regular basis. The most recent being in 2011, when Kirkland annexed three unincorporated areas – Kingsgate, Finn Hill and Juanita – thereby adding 33,000 residents and 7 square miles. With an estimated 84,430 residents, Kirkland is now the 12th largest city in the state of Washington. Although it has grown quite large over a short period of time, Kirkland has retained the distinct feel of a close community, something that is evident in the active outdoor lifestyle many of its residents engage in as well as the many events held on a yearly basis. Although the city’s active lifestyle and scenic beauty has made it an attractive landing spot for younger suburban singles, the city tends to draw more couples, both career-oriented or family-oriented. If you have any kind of affinity for the outdoors, whether it’s going for a swim on a beautiful summer afternoon or simply taking a stroll down the neighborhood block, then you’re going to love Kirkland. 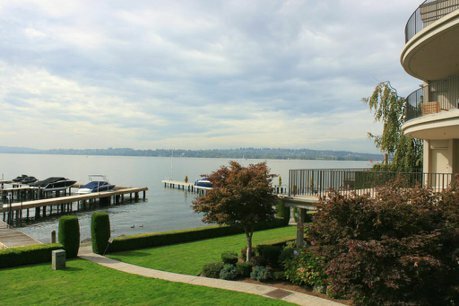 Kirkland is a stunning waterfront town which boasts an aquatic environment that includes one of the most impressive urban wildlife preserves in the entire region. Parks – The park system in Kirkland is one of the most extensive and unique park systems you’re bound to find in any town. Many of the parks in town were planned alongside Lake Washington, thereby providing residents of Kirkland with some of the most scenic city parks around. And you’ll have no trouble finding a park to your liking – the parks cover 25% of Kirkland’s total square miles along Lake Washington. Bird watching – What better way to enjoy the outdoors than to marvel at some of the stunning bird life present at Juanita Bay Park? The park is known for its wide variety of birds and draws bird watchers from all over the state. In fact, there’s even a tour held on the first Sunday and third Tuesday of each month by the Eastside Audubon Society. To say that the people of Kirkland are active as a community is almost an understatement. 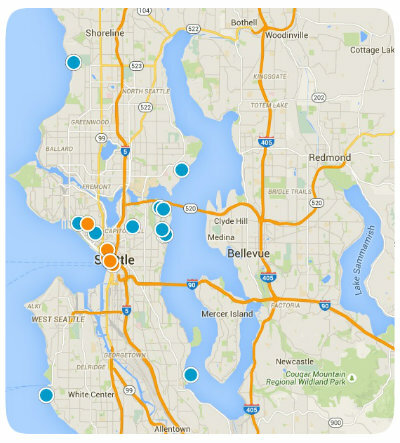 In addition to being a very “outdoorsy” city, Kirkland is also a very active one. Paddle Surfing – A combination of surfing and kayaking that has quickly taken off in the last few years, paddle surfing is very popular here in Kirkland. A number of paddle surfing services exist in town, including Northwest Paddle Surfers, Kirkland Sup and Perfect Wave Surf Shop. Youth Sports – Kirkland is home to two little leagues: the Kirkland National Little League and the Kirkland American Little League. And their Kirkland National team just happened to win the 1982 Little League World Series championship – no small feat! The Active Transportation Plan – Passed in 2009, the Active Transportation Plan has helped encourage non-motorized transportation by targeting improvements to pedestrian, bicycle and equestrian facilities, making it no surprise that residents are as active as they are here. There are plenty of options in Kirkland, from townhomes and single-family homes to condos and row homes. There are plenty of architectural styles to choose from as well, from ranch-style homes and split-level style homes to Garrison Revival-style homes and even modern-style homes. 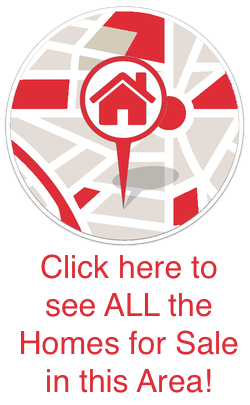 There is a large range in price as well so you can find a property to fit perfectly in your budget and preferences. Central Houghton – Houghton is one of the oldest communities in Kirkland, having been founded in the early 1870s and located on the eastern shores of Lake Washington. Everest – Another one of Kirkland’s older communities, Everest is a neighborhood consisting of mostly single-family homes with easy access to downtown as well as its own private Everest Park. Juanita – Juanita was an unincorporated community annexed into Kirkland a few years back. It is primarily a residential area full of parks, including Juanita Beach, Heronfield Wetlands and Big Finn Hill Park. Kirkland’s downtown area is an incredibly vibrant area with beautiful views of the lake and a great place to keep busy throughout the year. For example, every second Friday of the month is the Kirkland Art Walk, a holiday tree lighting and music festival are held every winter season and a summer concert series is held every Thursday during the summer season in Marina Park, located in downtown. And this is without mentioning the many local shops and restaurants located here! The biggest industries in Kirkland are the professional, scientific and technical service industry, with 18% of the population employed as computer specialists and other management occupations. The unemployment rate is quite low in Kirkland as well, with a 4.3% rate as of last year which is significantly less than the state percentage. Kirkland is perfect for residents of all ages due to its vibrant community atmosphere, its beautiful park system, its year round events and more. Couples without kids will find plenty of career advancement opportunities, while those looking to raise a family can be safe in the knowledge that Kirkland has a great public school system and is a peaceful place for kids to grow up.